One thing I love about San Francisco is that it draws people from all over the world. But with that comes the reality that San Francisco is a very transient city. Just as you start to get know someone, they announce they are moving on. With that said, I am very sad to announce UB will be losing not 1, but 3 of our leading community members. Up first, tomorrow will be Jake C.'s last day. This man has been a part of our community for a year. He came in here quite the athlete, but worked humbly and diligently to become one of the best in the gym (just check the UB leader board). He is a bro above the rest, quickly welcoming every person who walks through UB's doors established, new, potential UB member alike. As quickly as he came, he has worked his way into being a pillar of our community, and we are sad to see him go. Next, our man Shaun K. will be heading north mid May. 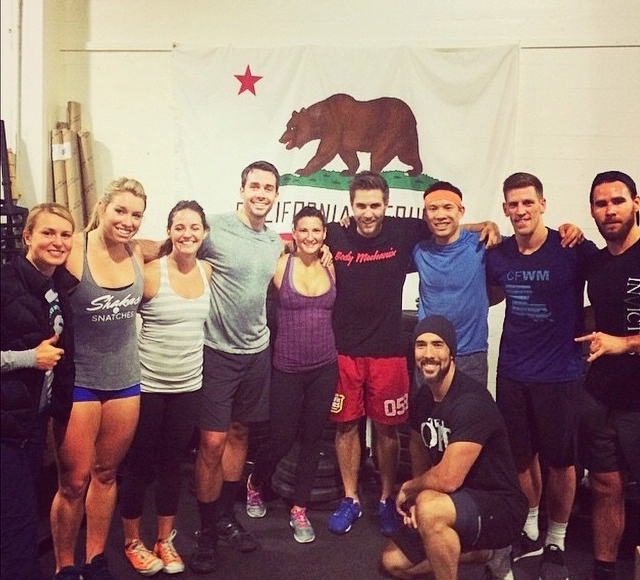 Shaun has been a dedicated part of the UB family since his first WOD. He has brought care and consideration to United Barbell, working meticulously on form, while working the midnight hour on the UB cleaning crew. His passion has lead him to great athletic learning and success... in fact, he is rocking our internship program before he leaves so he can follow his dream to becoming a CrossFit coach in Seattle. Last, but certainly not least, UB Ambassador of Awesome, Charles C, will be making a new start in Hawaii in mid June. I have had the pleasure of working with Charles before UB even opened its doors. He is the kind of guy who wears his big ole heart on his sleeve. He is the first man to shake your hand, cheer you on, or help you up. Since his time here, he has made great strides as an athlete and worked his way into being one of the hearts of the community. We are both incredibly excited for him, and incredibly sad to see him go. Make sure when you are here and see any of these three you let them know they'll be missed. High fives and chest bumps to 3 amazing dudes that will be raising the awesome of the communities they will be joining.